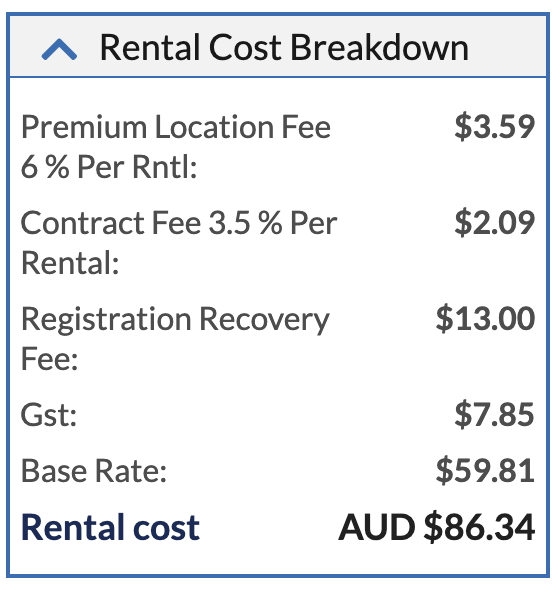 ​Did you know that when you rent a car with Enterprise through VroomVroomVroom, there is a cost rental breakdown to help you understand exactly what you are paying for when you are at the car rental counter. Your Enterprise quote will include GST, the base rate, contract fee and registration recovery fee. Depending on your rental pick up location, you may also need to pay a premium location surcharge and depending on your age, you may need to pay an age surcharge.